Ample Parking. Valet Available. There is a north and south parking garage available to park at and walk toward the center of Town Square. Went here for Easter dinner with my family 😀food was excellent👍 waitress was great 😀pricing was good & we had a great time! Great food and service for a large group. 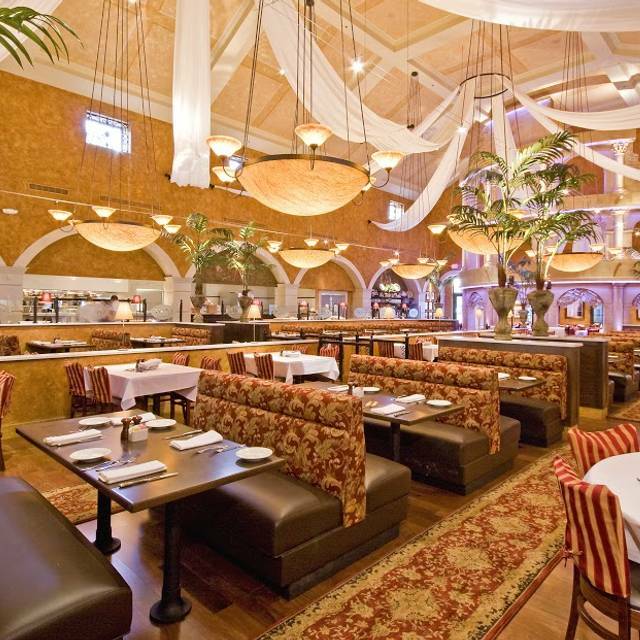 The acoustics of the restaurant makes it VERY noisy, but otherwise, a definite place to put on your list. We sat out on the patio for Easter Sunday brunch. Received Impeccable service and good food. There were not a lot of choices on the brunch menu however, so that was my only complaint. Great place to celebrate my birthday. Waiter was great. Very quick service. Food quality and temperature just right. Thank you. Great sera d great waiters! Loved every minute! Bad experience ... we will not go back there ... in the place there are at least 10 better restaurants: Tony Bahamas, California, Texas Brazil. Do not waste your time in this restaurant. Came here for my mother’s 60th birthday surprise dinner and it was a complete success! No one in my family has been here before, but now that we all have together we surely will be coming back. Service was phenomenal for the 16 of us that came, the food is priced very well, and the atmosphere is dimly lit and inviting. If you have a large party do yourself a favor and book whatever occasion you’re having here! The food was amazing! I enjoyed the atmosphere. Everything was great. The only thing was service. At first service was great. But once we got our meal, we didn’t see our server again until our meals were done. We were so thirsty for water throughout the meal no one came for refills. Server was awesome and food was fast. Oh my gosh! Go to this restaurant. We were a party of 13 and every meal was delicious. The service was outstanding by Trina and she accommodated all our special orders and gave us individual bills as well. She was welcoming and gracious. 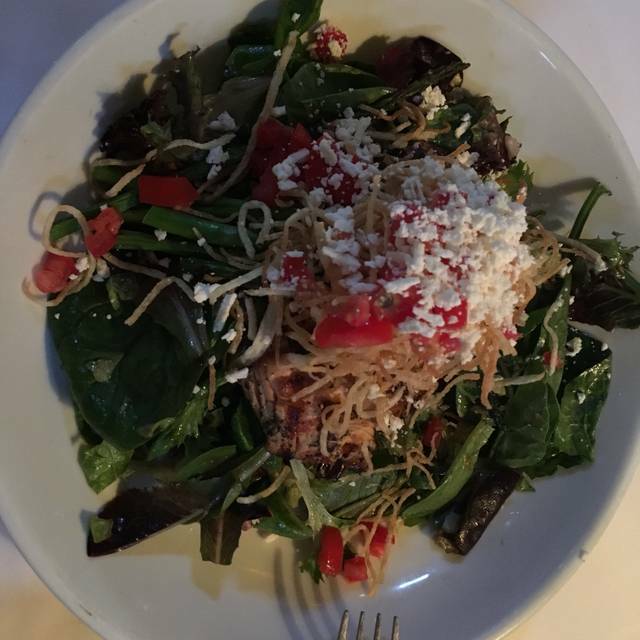 A memorable meal and outstanding service. Delicious Italian food and a diverse menu! 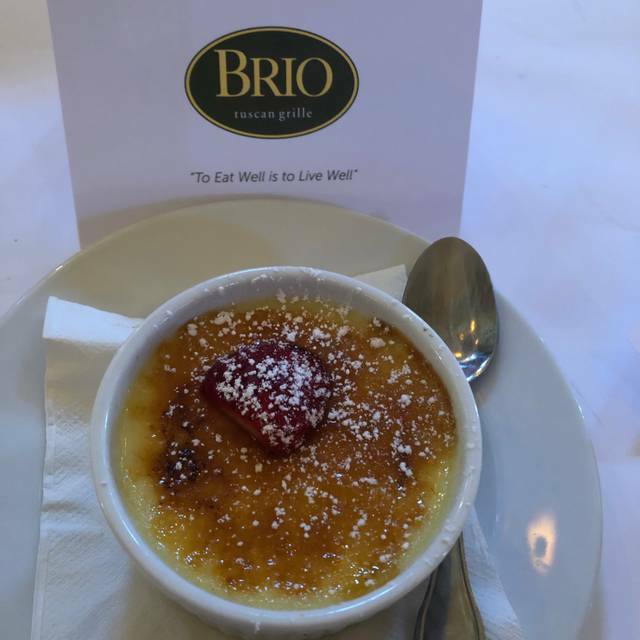 I highly recommend BRIO! I went with my family to celebrate my daughter's birthday. I wrote in the reservation that we were celebrating and reminded the waiter as well but no one came to sing to her. I ordered steak and it was dry and came with potatoes that were equally dry and tough as the steak. They completely lathered pesto on my potatoes and it left a strong garlic taste which I was not fond of. Also, even though I had a reservation, my family and I had to wait 20-30 minutes in the lobby, while people with no reservations walked in ahead of us. Very disappointed. Great Italian regatta cheesecake. I'll go there all the time for coffer - cake. The restaurant was very busy (prom night). Our waiter was great, service was good , food was good. Can't wait to go back. Great service and very good food. The main dish was not as hot as it should have been. We needed to get to a show and we couldn’t wait to send it back for reheating. Had a nice get together with family and friends. Food was good and the service was even better. Very cool place to have a nice meal! SO SO good!! 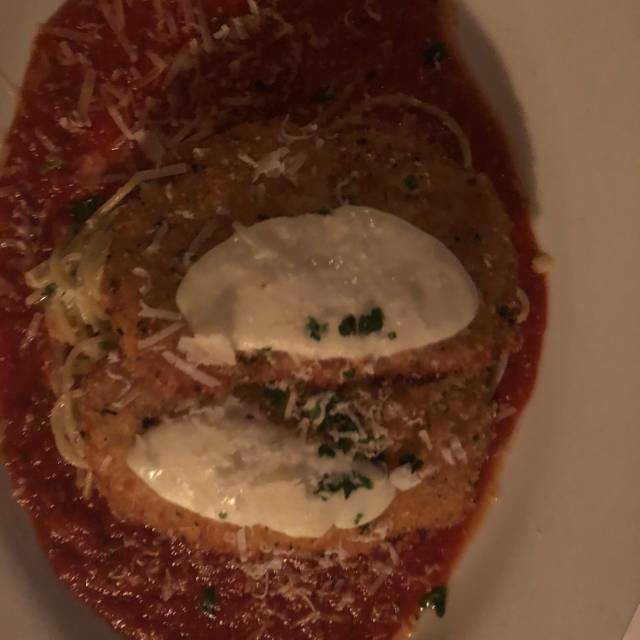 We came to Vegas for my 21st birthday and had searched for GOOD Italian food. My friend who lives there recommended you guys and we were not disappointed!! Great food, great service, great atmosphere! ALL of our table of 7's food was so good and our drinks were bomb. They even heard it was my birthday and gave me a 15$ off coupon and a hand written birthday card which was so sweet and unexpected! Was better in prior years. Cappuccino a huge disappointment. Very weak, mostly milk. Food presentation and restroom cleanliness could be improved. service was very good. we had a party of 8 and some of the entrees did not come out hot. food was delicious. Shrimp and eggplant appetizer was great! not crazy about the crackers instead of real Italian bread. Our Server Matt was very attentive and knows the menu inside and out. He answered the questions we had about the different menu items. 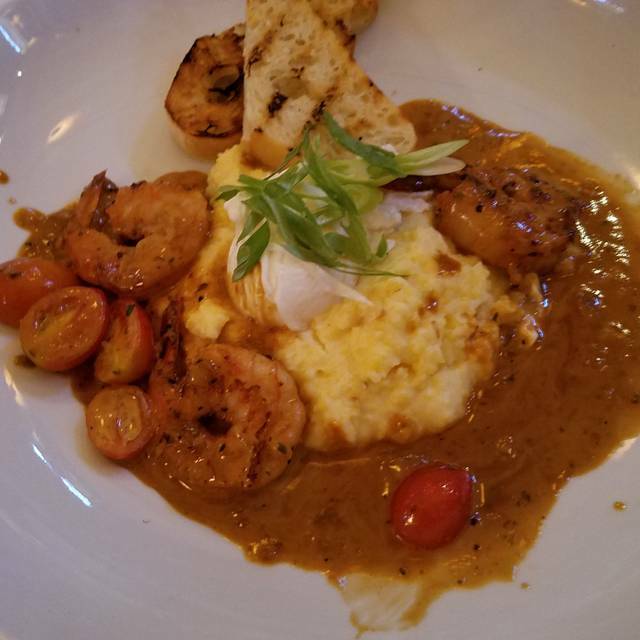 The food was great and I love the atmosphere of Brio’s, it’s just a great place to spend time with friends. I love Brio’s! Excellent food!!! Our server Jessica was amazing, so attentive to our needs during the meal. Our server pretty much ignored us unless we flagged him down. We had to ask for bread, ask for refills on our drinks; and got the wrong dressing on one of our salads. Danielle is the bomb bartender. If you put the burger back on happy hour you’d be perfect. Be aware that the restaurant is on the glide path or the take off path for the jets. Very noisy especially if you sit outside. Food was good but the service was lacking. Took 3 requests to the server before he brought Splenda for the iced tea. After the food was delivered, we did not see him again until he brought the bill. Lobster and shrimp pasta was good but the lobster, what little of it there was, was chewy. 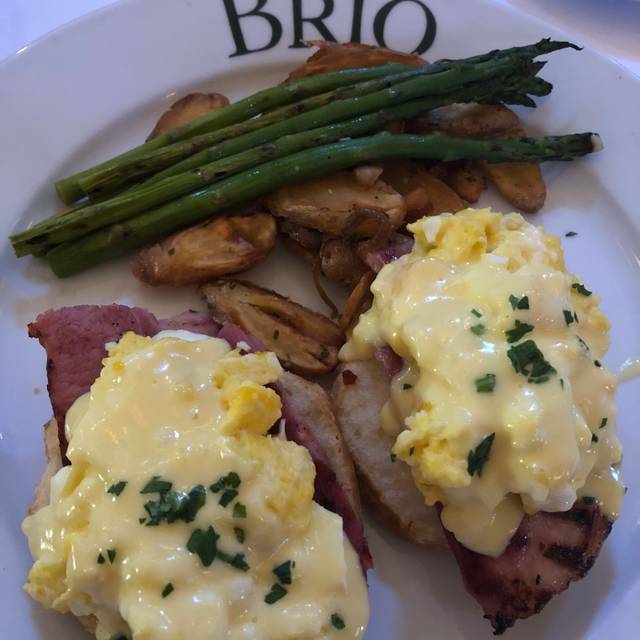 We have had much better meals and better service at Brio on prior visits. The spaghetti bolognese and the steak salad were quite good, the shrimp and lobster fettuccine was rather tasteless. One pat of butter for five people? Yes, we asked for more and got it, but wow, only after getting some nasty comments from the waitress. 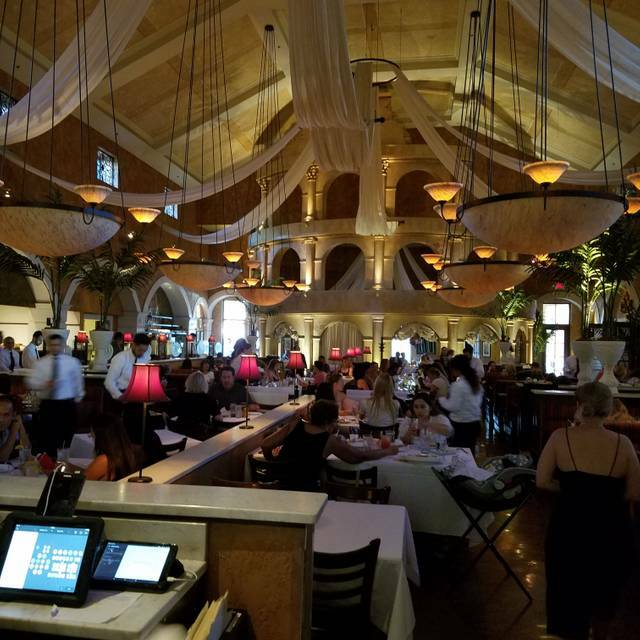 This was not my first visit to Brio, but it will likely be my last. The service was beyond poor, to the point where I did not even want to leave a tip. I did, but very reluctantly. One person in our party never even got a table setting nor a napkin, and yes, w3 asked several times. Our waitress had an attitudinal problem - we obviously were a bother and it was not because the restaurant was busy. It was not. There were many open tables. Very accommodating when we were seated inside and we changed our mind to be seated outside. I comet to Vegas I meet my girlfriends here a few times a year. This was the best of all visits. We nearly always order the same things - ravioli, flatbread, salad, and spaghetti. 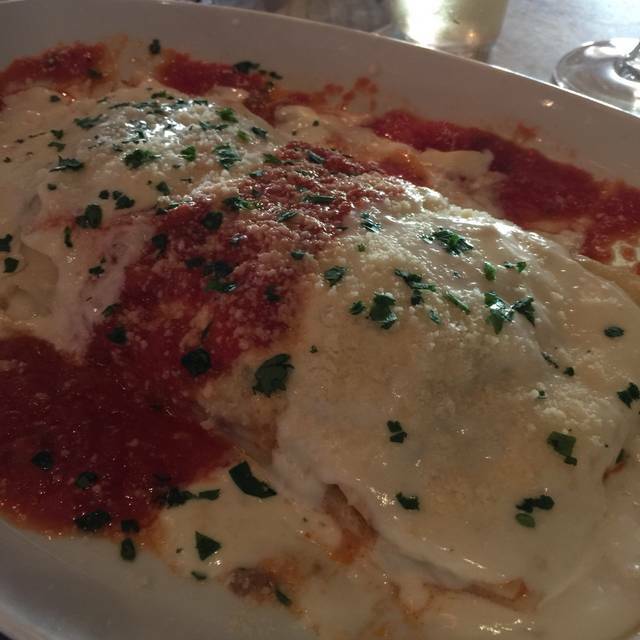 The ravioli with creamy tomato sauce is outstanding. Two people sharing a flatbread and salad is ample for both. Try the white sangria. What made our visit even better this time was the outstanding service! 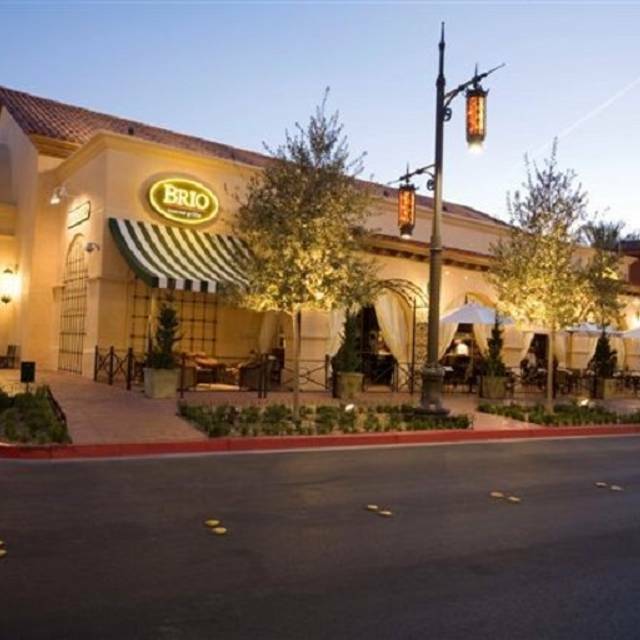 We went to Brio for our anniversary.We were very disappointed with the food and the price. I ordered steak medallions which only came with 1/2 dollar size medallions for $27 which is outrageous. my husband ordered lamb chops, which he got three tiny lamp chops for $37 we are very very disappointed with the pricing on the food in the quantity that we received. Needless to say I don’t think will ever be dining at Brio’s again. We had a party of ten for a Birthday celebration. The staff was wonderful!! Great food and great service. Our waitress even took the cake that we brought in and sliced it and served it to all of our guests!! We will definitely be returning! !